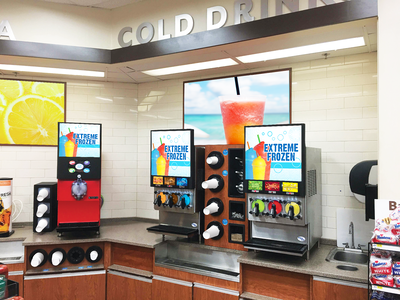 The key to implementing the very best frozen beverage program is creativity and laser-focused attention to the goals of the customer and industry needs. Just ask FBD’s Product Manager, Keith Geffken. In his role at FBD, Keith brings over 10 years of experience in the frozen beverage industry to identify new product opportunities and recognize trends within the marketplace in order to evolve and grow FBD’s robust portfolio of frozen beverage machinery. His keen sense for understanding a customer’s challenges and opportunities allows him to provide viable solutions, making him an asset to customers and the FBD team as a whole. Prior to his current role, Keith held a number of engineering positions and actually began his career with FBD. His engineering background has allowed him to truly understand management of engineering and technical activity. With superior customer service, a strong emphasis on values and unrivaled product reliability, FBD offers customizable solutions, the shortest lead times in the industry and 24-hour tech support for customers. 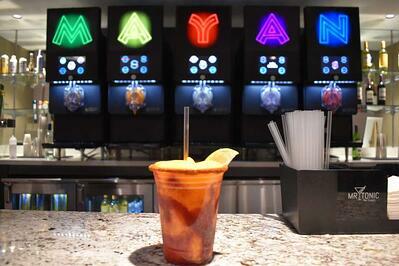 They serve 80% of the world’s frozen beverage needs and operate with a customer-focused approach. To learn more about Frozen Beverage Dispensers (FBD), visit https://www.fbdfrozen.com/.